Mr. Alexander has been active in the field of transplantation since 1996. In April of 2004 he was recruited to become the President & CEO of The Living Legacy Foundation (LLF), Maryland’s Organ Procurement Organization. Charlie has served on the Board of Directors of UNOS (2005-2008 and 2009-2013), Vice-Chair (2005-2006) and later Chair (2006-2008) of the UNOS Organ Procurement Organization Committee and served as a member of the Membership and Professional Standards Committee (MPSC) from 2008 – 2010 (Committee Chair, 2009-2010). Charlie has also served as the President of UNOS (2010 – 2011), and subsequently the Immediate Past President (2011-2012). 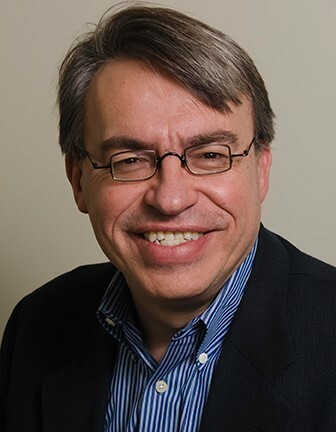 In 2015 Charlie became the first Chair of the Data Advisory Committee (DAC) at UNOS, designed to create a strategic vision for data management and utilization for the field. An active member of NATCO since 1996, he has chaired a number of committees, including the NATCO Introductory Course, Membership and Public Policy. He served on the Board of Directors as Secretary for two years, President-Elect and then as President from 2003-2006. Mr. Alexander has been active in various committees of AOPO, including the PINS project, and Chair of the Legislative and regulatory Affairs Committee. He has also been heavily involved in the Association’s work to collaborate with CMS for purposes of improved system metrics and measures for OPOs. He is currently serving as President-Elect of AOPO, and will become President in 2017. Mr. Alexander has held Board positions for various transplant related organizations including Donate Life Maryland (co-Founder and Board Chair 2009), The Organ Donation and Transplantation Alliance, LifeNet Health Donation Board, Regenerations Technology Donor Services Board, and the Musculoskeletal Transplant Foundation Donation Board of Trustees. Charlie also founded LifeLogics, an IT solution for OPOs in 2006, and later served as the first CEO of LifeLogics. Prior clinical experiences include Registered Nurse in the Medical Intensive Care Unit (MICU) at The Johns Hopkins Hospital and in the Trauma Resuscitation Unit (TRU) at The R Adams Cowley Shock Trauma Center in Baltimore, Maryland. He holds an MS in Nursing and an M.B.A, both from Johns Hopkins University. 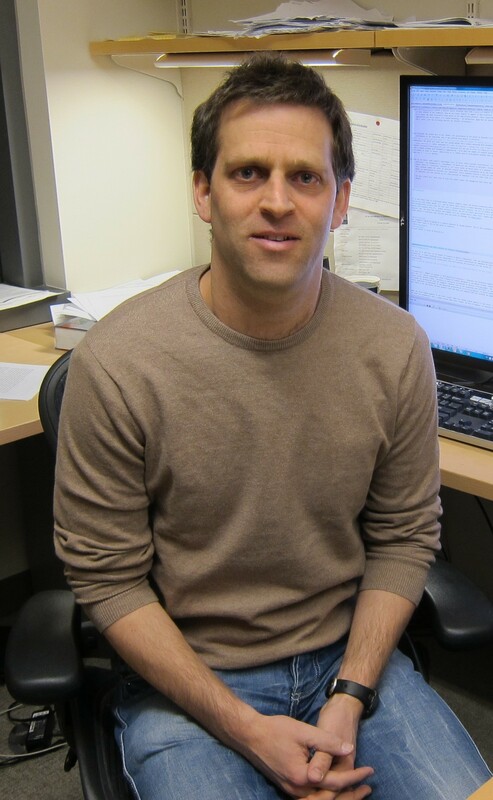 Itai Ashlagi is an Assistant Professor of Management Science and Engineering at Stanford University. Before joining Stanford in 2015, he was on the faculty of MIT Sloan School of Management. He is a recipient of the NSF CAREER award and a Franz Edelman Laureate. National Academy of Sciences, Econometrica, Artificial Intelligence, Operations Research, and Management Science. Professor Baris Ata takes a problem-driven approach to bridge the theory and practice of operations management. Ata uses stochastic models to study Delivery of Healthcare Services, Sustainable Operations, Management of Manufacturing and Service Operations, Queueing Theory and Revenue Management. His research has been recognized by the Best Paper in Service Science Award, INFORMS (2009) and William Pierskalla Best Paper Award, INFORMS (2015). He is a recipient of Manufacturing and Service Operations Management Young Scholar Prize, INFORMS (2015). Decision Modeling with Spreadsheets. Ata received his Ph.D. degree in Operations, Information, and Technology from the Graduate School of Business at Stanford University in 2003. Prior to his academic career, he worked for McKinsey & Co. Professor Dimitris Bertsimas is the Boeing Leaders for Global Operations Professor of Management, a Professor of Operations Research, and the Co-Director of the Operations Research Center at MIT. A faculty member since 1988, his research interests include optimization, stochastic systems, machine learning, and their application. In recent years, he has worked in robust optimization, statistics, healthcare, and finance. Bertsimas was a cofounder of Dynamic Ideas, LLC, which developed portfolio management tools for asset management. In 2002, the assets of Dynamic Ideas were sold to American Express. He is also the founder of Dynamic Ideas Press, a publisher of scientific books. Bertsimas has coauthored more than 150 scientific papers and the following books: Introduction to Linear Optimization; Data, Models, and Decisions, and Optimization over Integers. He is currently department editor of Optimization for Management Science and former area editor of Operations Research in Financial Engineering. Bertsimas has supervised 53 doctoral students and is now supervising 12 others. 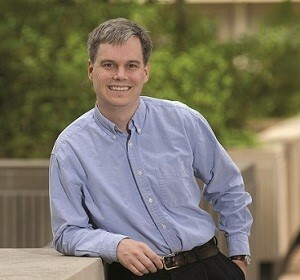 A member of the National Academy of Engineering, he has received numerous research awards, including the Farkas Prize (2008), the Erlang Prize (1996), the SIAM Prize in Optimization (1996), the Bodossaki Prize (1998), and the Presidential Young Investigator Award (1991–1996). Professor Sommer Gentry is a Professor in the mathematics department at the U.S. Naval Academy, a Research Associate at the Johns Hopkins University School of Medicine, and senior staff with the Scientific Registry for Transplant Recipients. Her research focuses on building operations research models to improve access to organ transplantation, in constant collaboration with her husband, Dorry Segev (Johns Hopkins), who is both a transplant surgeon and a computer scientist by training. Her work on redistricting liver allocation was a finalist for the Daniel H. Wagner Prize for Excellence in Operations Research Practice. Professor Gentry’s research in optimization in kidney transplantation has been profiled in Science and TIME magazine, and she was a guest on the Diane Rehm show in 2005. A one-hour Discovery channel show featured her work along with the transplant team at Johns Hopkins in arranging a three-way paired donation, and her research also played a part in an episode of the mathematical detective show Numb3rs. She served as an advisor to both the United States and Canada in their efforts to create national paired donation registries. Her group helped lobby for Congress to clarify the legal status of kidney paired donation, which the House and Senate did in December 2007. Professor Gentry graduated from Stanford University in 1998 with a B.S. in Mathematical and Computational Science and a M.S. in Operations Research. She spent a year at Lawrence Livermore National Laboratories before completing a Ph.D. in Electrical Engineering and Computer Science at the Massachusetts Institute of Technology in 2005. 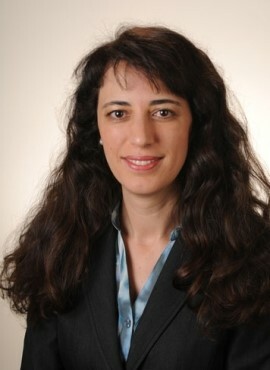 Pinar Keskinocak is the William W. George Chair and Professor, and co-founder and co-director of the Center for Health and Humanitarian Systems in the Stewart School of Industrial Engineering. She also serves as the College of Engineering ADVANCE Professor. Previously, she worked at IBM T.J. Watson Research Center. She received her Ph.D. in Operations Research from Carnegie Mellon University, and her M.S. and B.S. in Industrial Engineering from Bilkent University. Dr. Keskinocak’s research focuses on the applications of operations research and management science with societal impact, particularly health and humanitarian applications, supply chain management, and logistics/transportation. Her recent work has addressed infectious disease modeling, evaluating intervention strategies, and resource allocation; catch-up scheduling for vaccinations; hospital operations management; disaster preparedness and response (e.g., prepositioning inventory); debris management; centralized and decentralized price and lead time decisions. 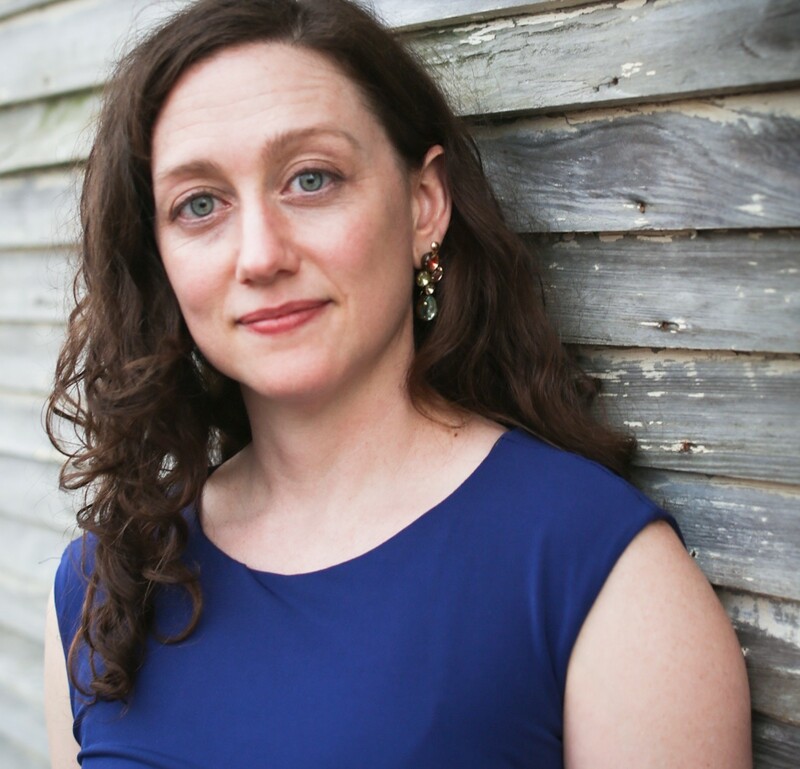 She has worked on projects with companies, governmental and non-governmental organizations, and healthcare providers, including American Red Cross, CARE, CDC, Children’s Healthcare of Atlanta, Emory University, and Intel Corporation. She currently serves as a department editor for Operations Research (Policy Modeling and Public Sector area), associate editor for Manufacturing & Service Operations Management, and secretary of INFORMS. Previously she served as INFORMS Vice President of Membership and Professional Recognition, is the co-founder and past-president of INFORMS Section on Public Programs, Service, and Needs, and the president of the INFORMS Health Applications Society. Robert A. Montgomery is the Director of the Transplant Institute at NYU Langone Medical Center. Prior to March 2016, He was Chief of the Division of Transplantation, and Director of the Comprehensive Transplant Center, at the Johns Hopkins University and Hospital. He received his Doctor of Medicine with Honor from the University of Rochester School of Medicine. He received his Doctor of Philosophy from Balliol College, The University of Oxford, England in Molecular Immunology. In 2007, he was awarded an honorary Doctor of Science from his Alma Mater, St Lawrence University. Dr. Montgomery has been involved in the development of innovative approaches to expanding live donor renal transplantation including: the laparoscopic donor nephrectomy, positive crossmatch and ABO incompatible transplantation, paired kidney exchange, and altruistic donor programs. His work with patients in these programs has been featured in numerous documentaries, The Today Show, Good Morning America, The CBS and NBC Evening News, CNN, The Discovery Channel, and in print in USA Today, The New York Times, The Washington Post and 3 times in The Wall Street Journal, including a front-page article. He was part of the team that developed the laparoscopic procedure for live kidney donation, a procedure which has become the standard throughout the world. He led the team that performed the first triple swap, triple domino swap, and the world’s first quintuple kidney pared donation. He is considered a world’s expert on kidney transplantation for highly sensitized and ABO incompatible patients and has lead several national task forces and consensus groups on this subject. His other clinical interests include the use of expanded criteria donors and pulsatile perfusion pumping to preserve and rescue organs that previously were not used for transplantation. Dr. Montgomery is a Fellow of The American College of Surgeons and member of many surgical societies. He has received many awards and distinctions including a Fulbright Scholarship and a Thomas J. Watson Fellowship and memberships in the Phi Beta Kappa and Alpha Omega Alpha academic honor societies. He has been awarded multiple scholarships from The American College of Surgeons and The American Society of Transplant Surgeons. Dr. Benjamin Philosophe is the surgical director of the Johns Hopkins Comprehensive Transplant Center, as well as the interim chief of the Division of Transplantation in the Johns Hopkins Department of Surgery. He also serves as the lead transplant surgeon at Sibley Memorial Hospital’s Hepatology Multidisciplinary Center. Dr. Philosophe was the first physician to perform robotic total right and total left hepatic resections in the state of Maryland, has expanded the application of minimally invasive surgical approaches to other hepatobiliary diseases and has improved outcomes and reduced effects of surgery on these patients. Dr. John Roberts is chief of the UCSF Transplant Service, one of the largest and most highly regarded programs of its kind in the country, including kidney, liver and pancreas transplants. Roberts is an expert in liver transplant surgery for adults and children and has spearheaded an effort to expand a procedure called "living donor" transplants, one of many efforts to make more donor organs available. 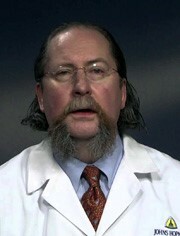 Roberts joined UCSF Medical Center in 1988. He has won numerous awards and National Institutes of Health grants for his research. He has produced nearly 170 papers on topics including allograft rejection, immunogenicity, immunosuppression and others. Roberts, who speaks nationally on transplant issues, is a fellow of the American Surgical Association as well as a member of many professional and honorary organizations. As a professor of surgery, Roberts teaches medical students and postgraduates, and supervises the training of surgical residents. He earned a medical degree at the University of California, San Diego and completed a surgical residency at the University of Washington in Seattle. He also served as a postdoctoral fellow in transplantation at the University of Minnesota's Department of Surgery. Professor Schaefer is Noah Harding Chair and Professor of Computational and Applied Mathematics at Rice University. His research has focused on integrating industrial engineering, operations research and medicine, helping physicians utilize clinical data to make optimal decisions in patient treatment and care. in 1994. He received a PhD in Industrial and Systems Engineering from Georgia Tech in 2000. Prior to joining Rice in 2015, Professor Schaefer was on the faculty at the University of Pittsburgh. 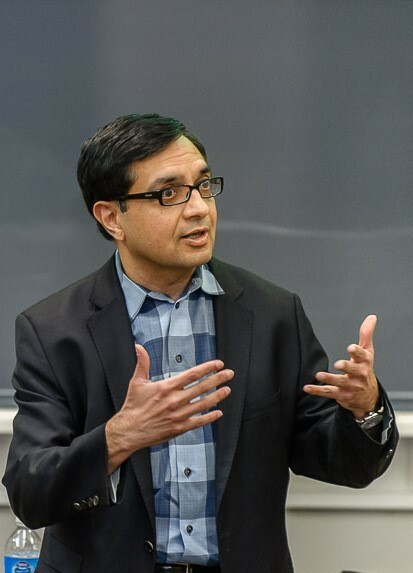 Professor Sridhar Tayur is the Ford Distinguished Research Chair and Professor of Operations Management at Carnegie Mellon University’s Tepper School of Business. He is the founder and former CEO of the software company SmartOps Corporation (acquired by SAP in 2013), and the founder of a social enterprise, OrganJet Corporation. 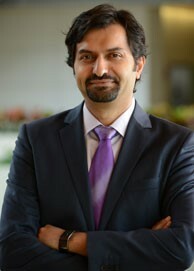 An INFORMS Fellow, Tayur is widely known for his work in inventory theory, supply chain management, lean manufacturing, operations strategy, and healthcare management, which has been published in Operations Research, Management Science, Mathematics of Operations Research, and Manufacturing & Service Operations Management. He is co-editor of the widely referenced book, Quantitative Models for Supply Chain Management. He has served on editorial boards of the premier operations research/management science journals. Tayur is the founder of RAGS Charitable Foundation that supports higher education, independent and documentary films, and early stage medical research. In 2014, he made a $1 Million donation to Carnegie Mellon and in 2016 announced the endowment of an Institute Chair at IIT-Madras. Tayur earned his B.Tech. in Mechanical Engineering from IIT Madras in 1986, and Ph.D. in Operations Research and Industrial Engineering from Cornell in 1990. He joined Carnegie Mellon in 1991 as an assistant professor in Carnegie Mellon University, received his tenure in 1996, and was promoted to full professor in 1998. He is currently Ford Distinguished Research Chair and Professor of Operations Management. Tayur is also Professor of Cardiology (by courtesy) at the Gerald McGinnis Center of West Penn Allegheny Health System.